Tom Riley is the new president of the Connelly Foundation, succeeding longtime leader Josephine C. Mandeville. She was president of the West Conshohocken-based philanthropy since the death of founder John Connelly in 1990. She will continue to serve the foundation as Chair of the Board of Directors. Founded in 1955, the Connelly Foundation has donated more than $400 million to nonprofit organizations in the Philadelphia area focusing on education, human services and the arts. The foundation has always placed a particular emphasis on Catholic education, with nearly 10,000 Philadelphia-area students having attended Catholic high schools though the foundation’s Neumann Scholars and Josephine C. Connelly scholarship programs. Prior to being named president of the foundation, Riley was its vice president for strategic planning since 2012. He has had a long career in philanthropy and public policy, previously serving as vice president of the Philanthropy Roundtable in Washington, D.C., from 2001-2009. He was also associate director of the White House Office of National Drug Control Policy, where he served as the principal spokesman for all federal drug control and addiction programs. He writes and speaks frequently about charitable giving. 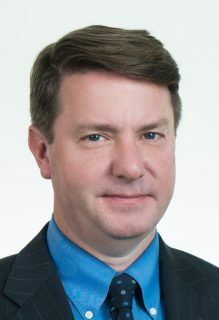 He is a contributing editor of Philanthropy magazine, a member of the Strategy Committee of the Alliance for Charitable Reform and a board member of many Philadelphia-area nonprofits including the Philadelphia Police Foundation and the Historical Society of Pennsylvania. Riley lives in Radnor with his wife Barbara and their five children. Congratulations to Mr. Tom Riley. Tom, your leadership will be blessed with all of God’s goodness as will the Connelly Foundation for years to come. The Foundation’s contributions to Catholic education have transformed lives and institutions for the better. Thank you and I pray that you will continue to support and assist into the future. God bless you. Best of Luck Mr Riley. The Connolly Foundation is outstanding and does so much good for Catholic education and the entire region.